Unit 4, Blacktown Leisure Centre, Sentry Drive, Stanhope. NSW - Join anytime! In this Mommy & Me class the toddler and parent learn delightful songs, dances and musical activities that focus on singing and keeping a beat to enhance timing, coordination, listening and language skills. High-quality percussion instruments are used as well as puppets, stories and colourful props to make this a very special music time. More benefits: Repetition assists language development and memory, and improves coordination and timing. 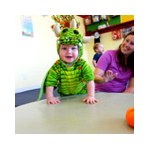 Helps toddlers express their feelings productively, and develops their imagination and ability to focus. These classes will lead into the extremely successful, non-traditional Simply Music Piano Program!